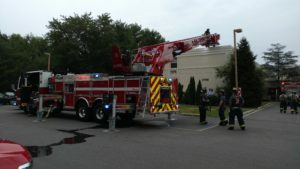 On Sunday morning, July 15th, at approximately 8:10 AM, officers from the Manchester Township Police Department as well as fire crews from 5 nearby fire departments responded to the AristaCare Health Care facility located at 23 Schoolhouse Road for the report of a smoke condition and possible structure fire. Upon arrival, responding officers and firefighters located smoke in the west wing of the 2nd floor but no fire. Because of the smoke condition, emergency workers and facility staff began evacuating residents to the outside front lawn area. As a precaution, approximately 150 patients and staff were evacuated from the facility. While checking the facility and surrounding area, it was learned that a transformer located behind the AristaCare building shorted-out causing an air conditioning unit located on the facilities roof to malfunction. As a result, smoke from the disabled unit bled down into the building. Fire personnel were able to ventilate the facility and dissipate the smoke after which residents were moved back into their rooms. 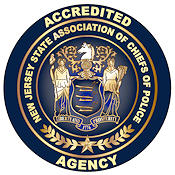 Although one facility patient was seen by first aid for an unrelated health issue during the incident, no injuries or other issues were reported. 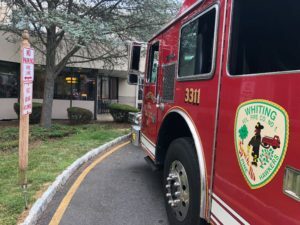 Assisting at the scene were firefighters from the Whiting, Manchester and Ridgeway Volunteer Fire Department as well as crews from the Lakehurst and Joint Base Fire Departments. 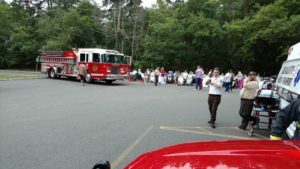 Also assisting were EMTs from Quality Medical Transport as well as representatives from the Manchester Township Office of Emergency Management and the Ocean County Fire Marshall’s Office.